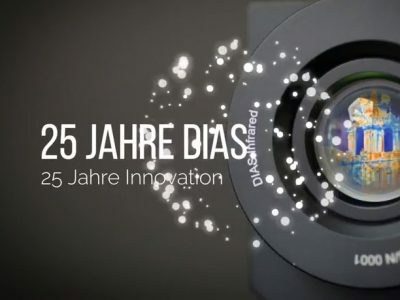 The Dresden-based company DIAS Infrared celebrates its 25th anniversary in 2017. The now globally operating company was founded in 1992 by employees of the TU Dresden, who have were researchers in the field of infrared measurement technology. 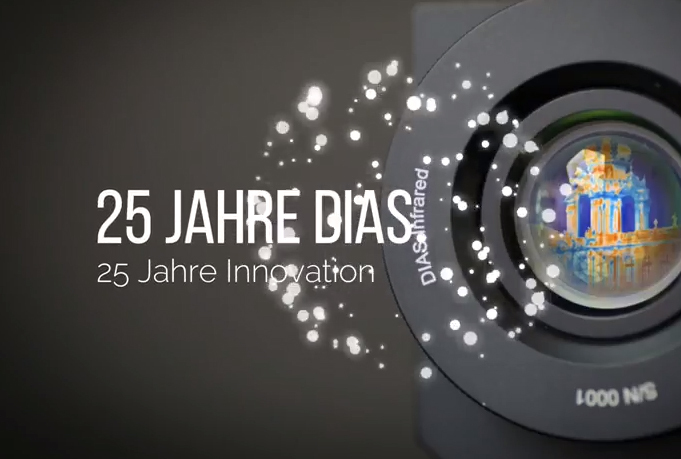 25 years DIAS Infrared – a reason to celebrate! This expertise has been incorporated into a wide range of non-contact temperature and temperature measurement products that benefit numerous industrial customers worldwide. DIAS Infrared has gradually and consistently become one of the leaders in the industry. Today, the company employs more than 50 people at three locations and still has a large R & D area as well as its own production facility. The worldwide sales in over 25 countries and the service for the products and system solutions are organized from the headquarters in Dresden which is located in the own new building in the industrial area Dresden Coschütz-Gittersee. There are two further R & D and production locations in Magdeburg and Saalfeld. A few years ago, a separate subsidiary was founded for sales and service in the USA. The product spectrum ranges from infrared sensors to infrared measuring devices such as radiation thermometers – so-called pyrometers and thermal imaging cameras – to complete system solutions for customers in industry and R & D. This mix of sensors, measuring instruments and application-specific system solutions is an important key to the company’s many years of successful work. The company’s customers come from many industries. Wherever temperature is an important process parameter, DIAS products are used, for example in the metal and glass industry, in the power plant sector, but also for early fire detection in waste incineration plants and large paper warehouses. The company DIAS Infrared is characterized by particularly innovative products. Many world novelties have emerged in the last 25 years, which ultimately also established the good reputation of the company. DIAS Infrared is also well prepared for the future. In the last years, preconditions for the upcoming generation change were made. Prof. Dr. Günter Hofmann is CEO and shareholder for 25 years now. Since November 2017 two younger managing directors, Dr. Frank Nagel and Dr. Uwe Hoffmann, take over gradually the management. These two new executives have also been working in a responsible position in the company since the 1990s. The generation change among the employees is constantly driven by the training of own trainees, provision and support of student internship and graduation work and of course the recruitment of young and particularly capable engineers, technicians and skilled workers. Company information – DIAS Infrared GmbH and DIAS Infrared Corp.